you will find virgin sandy beaches where you can enjoy swimming. 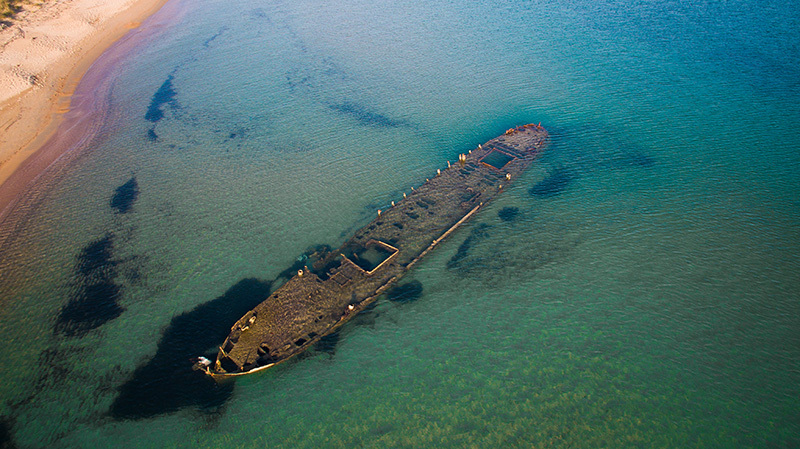 Messinia. It seems like a colossal aquatic theater and it consists of an almost perfectly round bay of fine sand, which entraps the crystal clear turquoise waters. A big rock, which is crowned with a Venetian castle, offers its shade to the beach. The site and its indescribable natural beauty have been defined as protected by the Convention Natura 2000. Thus, civilization did not alter its profile and peace prevails despite the plethora of people that opt to visit the beach. In order to reach the beach through Petrochori, you will need to drive through the dirt road for few kilometers until you reach the beach where there is usually plenty of parking spaces. Lagouvardos is a unique beach of incomparable beauty, a magnet of attraction for visitors that wish to spend moments of tranquility and relaxation in its transparent turquoise waters. The beach is also suitable for water sports. From October to April, Lagouvardos is ideal for board surfing, and wind surfing. It attracts tourists from all over Europe who come to enjoy these gifts of nature. The golden beach stretches over a distance of two kilometers and is located at a distance of 3 km from the famous fishing village of Marathoupoli, where the visitor can enjoy fresh seafood, local dishes, coffee and drinks and a breathtaking view of the island “Proti” with its most magnificent sunset. 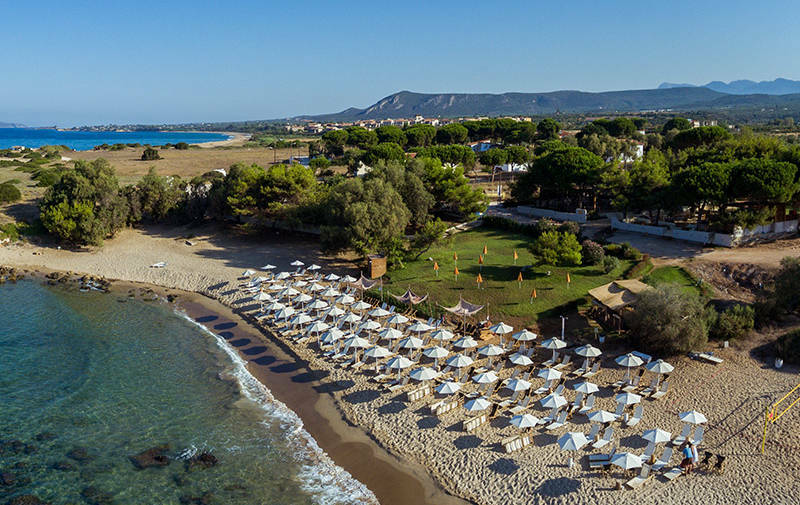 Lagouvardos is certainly one of the most beautiful beaches of Messinia and it is worthy of your visit, again and again. The Golden Coast beach is characterized by the bright golden color of its sand and its vastness. Along the middle of the beach you will find a canteen and a beach bar but there is always a quiet spot for those who wish to avoid crowded places. 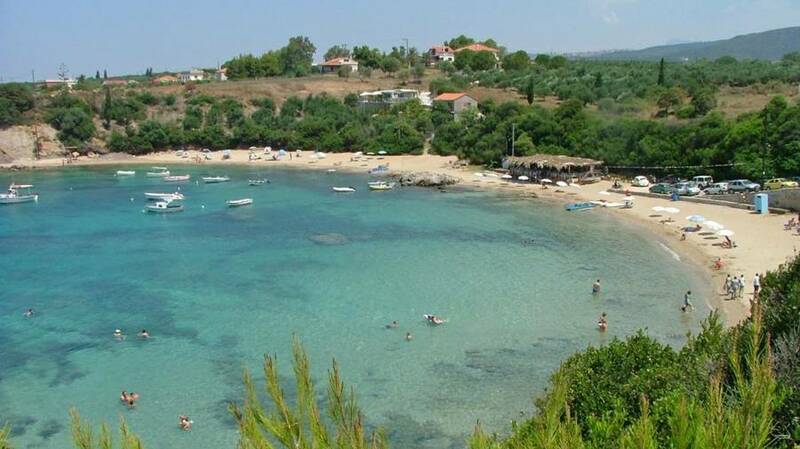 The beach of Vromoneri is usually a favourite with locals and residents of surrounding villages, as it is a satisfying and easily accessible beach. The beach is covered with sand, and there are several stairs in order to facilitate your visit. In the Romanos village there is a beautiful long beach which is characterized by its fine sand and also offers various shady places. On the upper side of the beach there is plenty of parking spaces. 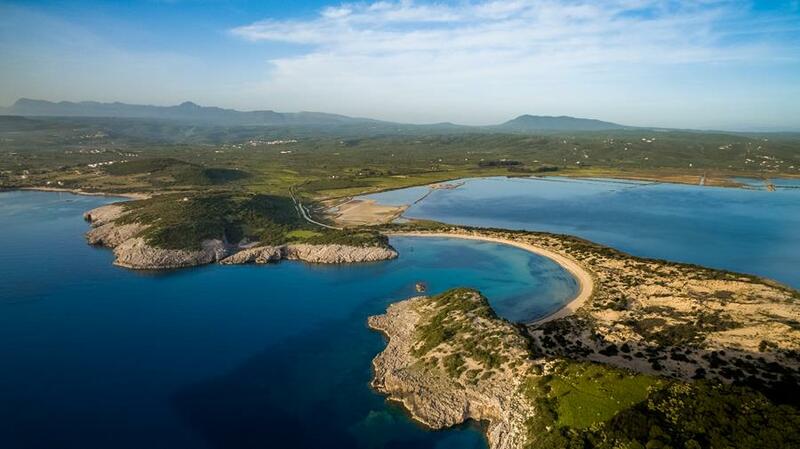 The Golden Sand beach is covered with fine sand, offering ultimate views of the bay of Navarino and of the islet of Sfaktiria. It is a protected area and an oasis of tranquility. Just before the beach you will find camping facilities.